The ownership review video of BMW G310GS is presented by Colonel Maneesh Joshi, and shot by Nehal Diwekar. The video was shot at National Defence Academy, Khadakwasla near Pune. BMW G310GS is a popular motorcycle globally. It tops the wish list of many bike enthusiasts. Aiming to provide more info about the bike, Colonel Maneesh Joshi presents a detailed review video about the motorcycle, its good, and its bad. Colonel Maneesh Joshi is from the Indian Army / Infantry / 22nd Battalion, The RAJPUT Regiment. He took premature retirement last year, to pursue his passion in the automobile industry, specifically in the motorcycle world. Colonel Joshi shares his personal experiences of riding the bike for approximately 10,000 km across various terrains such as city roads, highways and dirt roads. The initial part of the video details the various features and specs of BMW G310GS such as 313 cc engine, advanced suspension system, switchable ABS, etc. The interesting things come later when Col Joshi starts describing his likes and dislikes about BMW G310GS. Many of these things can only be known to someone who has ridden the bike for a long time, so the information is no less than a revelation. Positive aspects mentioned about the bike include things like the bike’s glamorous looks, comfortable seating position, superb suspension, adequate space for luggage, and various points for attaching bungee cords. The digital instrument panel looks neat and is clearly visible even in bright sunlight. BMW G310GS has been designed to be an all-rounder and works great in city traffic, highways and dirt tracks. Mileage is around 28 km in city traffic and approximately 32-34 km on highways. Next come the dislikes, which is quite an exhaustive list. Various issues have been pointed out such as unstable headlight, problems with the clutch and flywheel, bad plastic quality, problem with shifting to neutral position, high elevation of exhaust, lack of LEDs, and slow engine response while decelerating. Please note that many of these issues are based on personal experiences and it may vary from individual to individual. 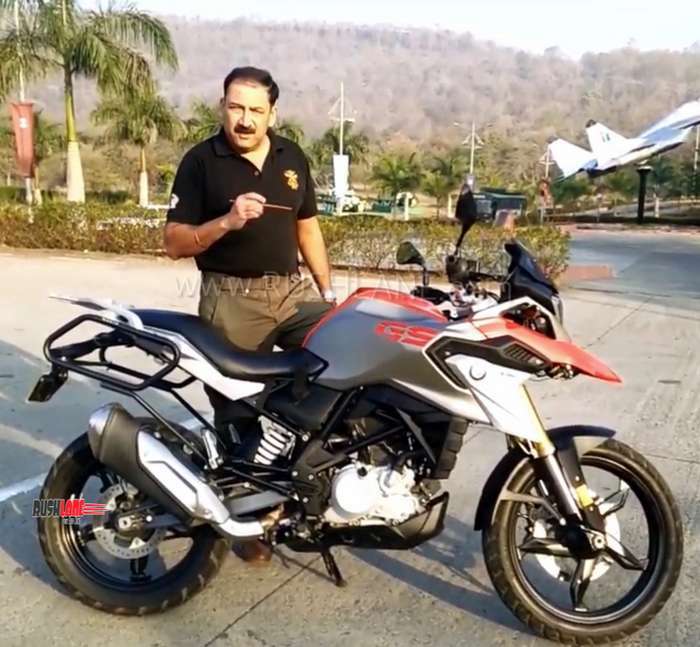 Next, Col Joshi describes things that he would like to see in his BMW G310GS. In the final part of the video, Col Joshi provides some very important tips and warnings to users. For example, he advises not to fiddle with the wiring, as it carries data, which is stored in the embedded system. If the data shows any type of tampering, the warranty may be void by the company. Tips about chain lubrication, fixing vibrations coming from plastic parts, etc. have also been provided in the video. Col Joshi concludes the video by thanking BMW for creating this magnificent bike and launching it in India. He is hopeful that BMW will carefully assess his inputs and would do the needful to improve BMW G310GS in the next planned upgrade.